Keep up the floors in your home without sacrificing time with your pets thanks to the pet-friendly flooring options from our flooring company. Customers enjoy a wide range of selections at our flooring superstore. We have satisfied many customers who are looking for floors that allow them to enjoy their pets indoors without sacrificing the aesthetic they want in their home décor. 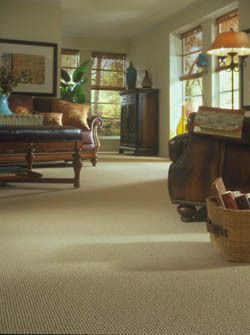 Choose from stain-resistant carpet and tile, along with sealed flooring options, and invite our skilled and experienced technicians into your home to install the perfect flooring for your lifestyle, budget, and pet type. At our company, we cater to pet lovers with our flooring solutions! People with hardwood or laminate flooring should be careful introducing pets into their homes. Some types of floors don’t do very well with paws, claws, and accidents. With our sealed flooring, you won't have to worry about spills, housebreaking training, and scratches ruining the appearance and beauty of the floors in your home. Treated with special chemicals that seal and protect the floor from damage, this type of laminate and hardwood floor caters to active pets. We sell and install all of your favorite brands, and we walk you through all the installation process before we begin our work. Because we focus on customer satisfaction, we work around your busy schedule! Because manufacturers use specially formulated chemicals to treat these stain-resistant carpets, they repel both dirt and liquids. This repellent nature makes them extremely valuable in your fight against pet accidents and tracked-in dirt and grime. When you purchase regular carpet and you have an active or young pet that isn't fully housebroken, you are inviting disaster. Why waste money on a nice new carpet that will become ruined the first time your dog tracks in mud after a rainstorm? At our flooring company, we provide stain-resistant carpet from all of the top manufacturers, and we install any type you choose with ease. We have the years of experience necessary to make installations a snap. Mostly made from tough and durable nylon, these carpets are the answer to every pet-lover's dreams. They add beauty and provide the level of protection you desperately need! Contact our flooring company for excellent deals on pet-friendly flooring. We sell and install sealed flooring and stain-resistant carpeting to customers in the communities of Covington, Abita Springs, Madisonville, Mandeville, Lacombe, Slidell, Pearl River, Goodbee, Folsom, Ponchatoula, and Hammond, Louisiana, along with Picayune, Mississippi.